tsunami-ri had the most liked content! 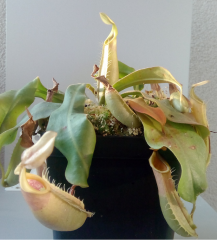 I had 2 female plants flowering in august 2018. If you find any male campanulata, please let me know. 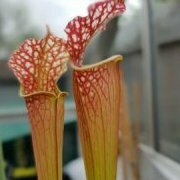 I have Drosophillum seeds, my own, harvested this summer. I can give you 15 seeds for 5E. 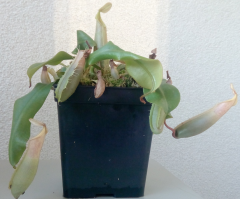 And I have only two seeds left from Roridula gorgonias. I can give you them for 1.5E. Seeds are bought 1 month ago on this forum and they are harvested 2016. I sow 5 of them 2-3 weeks ago and one seed started to grow 2 days ago. Stapelia has started to flower. 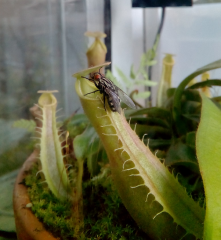 The smell attracts flies. You can guess who is taking all benefits. 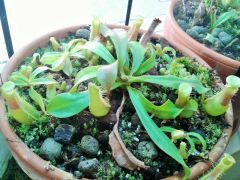 Veitchii is my favorite nepenthes! Well, campanulatas grow in open top hexagonal aquarium, they are sprayed at night and humidifer runs above them for 1 hour. So humidity newer drops below 50% during day and it is around 100% at night. These are not exactly windowsill conditions. And the light is supplemented all year round for 12h because is NW window. Thats why I dont grow vining species. I will post pictures of whole setup next weekend. This is my collection. 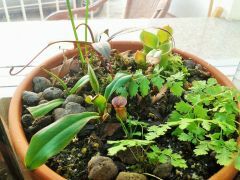 I have been growing N. veitchii, argentii and smaller two campanulatas for 1 year, C. follicularis Hummers giant for 6 months and H. minor and 2 bigger campanulatas are added recently. 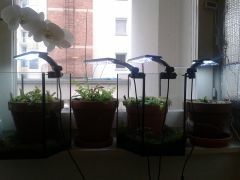 They grow on windowsill that has 2h of direct sun in the afternoon and I supplement light with LEDs. 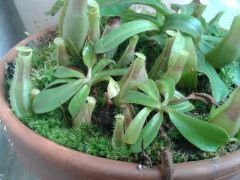 Veitchii and campanulatas grow in open top small hexagonal aquariums. 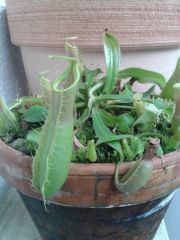 In the evening I spray them and run humidifier for 1 hour.